Banking law resource. On Wednesday, Bloomberg BNA announced the launch of Bloomberg Law: Banking, an all-in-one resource on legal and regulatory issues that integrates banking news, analysis, primary and secondary sources and practical tools. 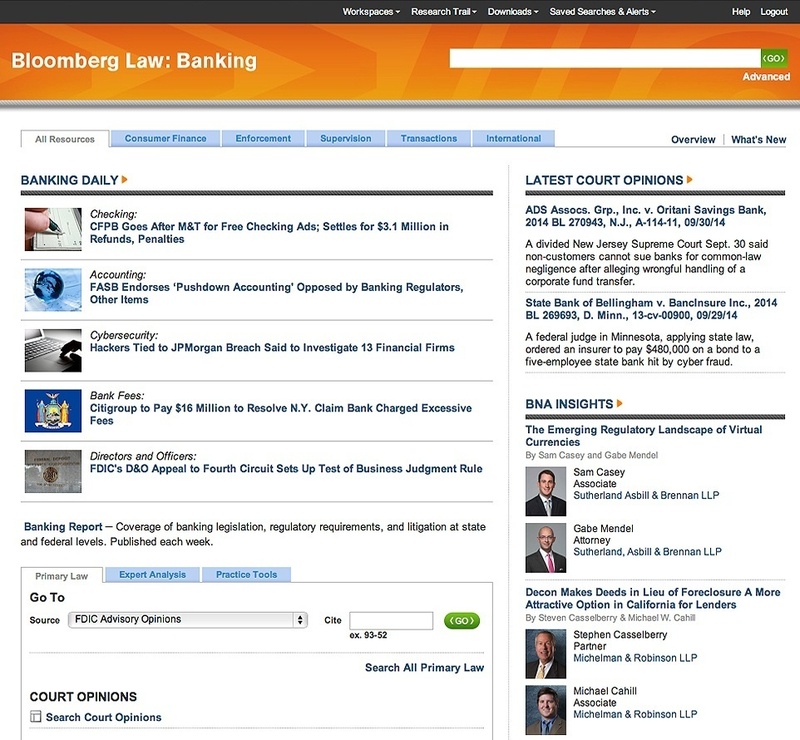 The collection includes Bloomberg BNA news stories; portfolios and treatises from leading banking practitioners; full text of major federal banking statutes and regulations, federal agency documents, and laws that impact banks from all 50 states; and state law “Chart Builders” that let users create reports on key banking requirements across states. It is available through the Bloomberg Law legal research platform. Jean O’Grady has more information at Dewey B Strategic. Federal docket research. I’ve written before about docket research sites such as PacerPro. Now there is another, called DocketFish. It provides searching and downloading of the federal PACER civil dockets and has both free and paid versions. (Like other such services, the free version still incurs PACER charges.) Free accounts allow basic searching, while premium accounts add features including bulk downloads, document delivery alerts and case alerts. I will be testing this out and providing a more detailed review in the near future. Websites from MyCase. MyCase has reduced the sign-up fee for its custom websites offering from $1,500 to $500. Frankly, I did not know that MyCase offered websites until it was pointed out to me this week by Niki Black, director of business development and community relations at MyCase. The sites are available to MyCase customers for the set-up fee of $500 and then a monthly $50 maintenance fee. Niki describes the service in a blog post and provided these links as samples of the sites they’ve created: here here and here. Crowdfunding litigation. Crowdfunding has taken off in various sectors and this week it reached litigation. A new website, LexShares, enables investors to put their money up to fund lawsuits. The site connects accredited investors with plaintiffs in commercial lawsuits to allow investments in specific cases. If the plaintiff recovers, through settlement or judgment, the investor receives a portion of the proceeds, proportionate the investment. Potential investors can browse available cases and pick the ones they wish to invest in. Once they have invested, they can track the case’s progress through the site. 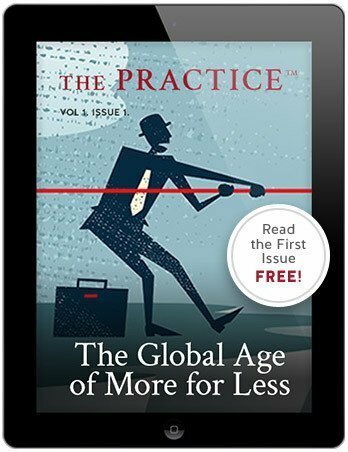 Debra Cassens Weiss has an interview at the ABA Journal with the site’s cofounder, lawyer Max Volsky.